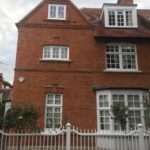 We have just started a 6 month internal refurbishment of this lovely Grade II family home in Bedford Park Chiswick. Bedford Park is one of the most sort after address in West London and area was built around 1870s. Most of the early buildings in the area are Grade II listed protecting all interiors, outhouses and boundary walls and fences. 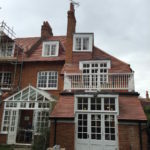 We are very excited about this project and helping turn this house into a lovely family home for our client.